Did I Mention That I Have a Running Problem? A few weeks ago, I mentioned on Canapeel that I thought I might have a running problem. I believe now that there is no doubt of that fact. 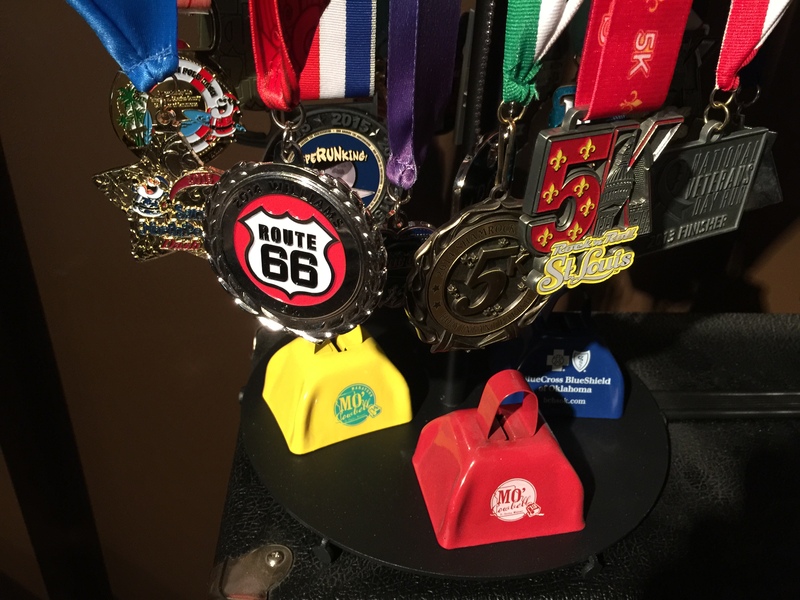 This week will be the fifth weekend in a row of 5K races, with the sixth (the Undy Run/Walk 5K) being the last race before April. Until… I found another race the day after the Undy, and signed up for it. Another race, another medal. I told Becky today that race medals have become my Pokemon… gotta catch ’em all. Hi. My name is Colin. (Hi Colin!) And I’m a runaholic.